You are here: Home » Information » Can I Refinance My Title Loan? How Can I Refinance My Title Loan? Refinancing your car title loan with LoanMart is an easy process. If you have a car title loan with another lender, LoanMart can help you refinance with us to solve whatever problems you may be facing with that lender. If your interest rate is too high, LoanMart can help lower your rate. If you’re struggling to make the monthly payments, LoanMart can not only set you up with a lower rate but can change your loan terms to give you more time to pay it off. Another benefit that LoanMart offers over competitors is our amazing customer service. We pride ourselves on the attention we give our customers. We don’t want you to struggle with making payments or your financial difficulties. Our customer service team is friendly and respectful and they put your lifestyle above any other concern. Title loan refinancing allows you to work with a new company. If you choose LoanMart to refinance an existing car title loan, we could potentially pay the remaining balance that you owe with your current lender. Then LoanMart will transfer that balance to a new loan with us, giving you a new interest rate and payment plan. Your current lender will release the lien hold on your title. LoanMart will then have the hold on your title instead of the current lender. With LoanMart, you’ll be able to get an overall better car title loan. Depending on the value of your car, your income, and the amount you have on your current loan, we could potentially put more money into your pocket! We do what we can to ensure you have a wonderful experience with your car title loan. Financial emergencies can cause unwanted stress, and we don’t want your title loan to cause more stress than you’re already facing. We have a mobile app as well as online account access that lets you check on your car title loan from your home, office, grocery store, or even on vacation. You can log in wherever you are. When you need to talk to someone, LoanMart’s customers service team can answer your questions 7 days a week to answer calls, chats, or emails. We offer our customers competitive rates. We also offer our customers great rates to refinance. We have detailed methods and a lot of experience that allows us to offer you competitive rates. As part of our mission to offer you great service and better rates, we customize a payment plan tailored specifically to you. At LoanMart, we want to be honest with our customers. Our specialists are upfront with customers about the cost of car title loans and all of your terms. We don’t hide any fees like some other companies try to. We offer no prepayment penalties, and we don’t try to take more money from you. Your financial stability should be based on more than just a credit score number or your previous credit history. We help all types of customers with all types of needs. Let us help you refinance your car title loan and help you with your needs. Apply today and find out if refinancing with LoanMart is the right option for you. We can offer you a free quote in less than a few hours. Refinancing your car title loan is not very different from applying for a car title loan. All you need to do is fill out the initial online application as though you were applying for a new car title loan. Once you are contacted by one of our loan specialists, that’s when you will be able to let them know you are trying to refinance your existing car title loan. 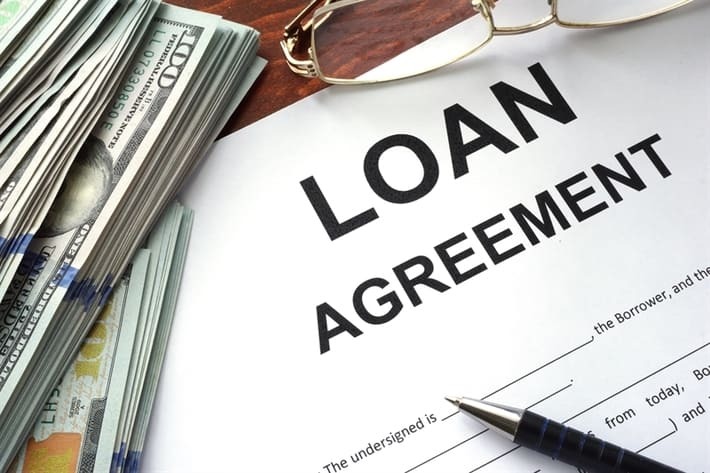 Your loan representative will be able to help you through the process of refinancing by looking at the value of the car, your income, and the amount of your existing loan with your current lender. LoanMart will then pay off your remaining amount with your current lender, establishing a new loan with better terms and a more feasible payment plan. During this process, you may have the potential of being able to receive extra money with LoanMart. You will also be able to establish your account with LoanMart and start making payments to LoanMart instead of your former lender. You won’t need to worry about choosing an existing payment plan that LoanMart has. Through your application process, your loan specialist will talk with you to set up your payment plan that works better than your previous plan did. Because we have an online system and app, you’ll be able to pay your loan from either option. That means you won’t have to worry about missing any payments! You can have all your car title loan information at the palm of your hand without any concern of missing your payment. Have regarding your car title loan and refinancing? Contact us today!